Games. Games. Games. I have figured out that I can get my son to do practically anything if I turn it into a game. This makes me feel like the queen of deception ... in a good way. To practice adding two-digit numbers (i.e. 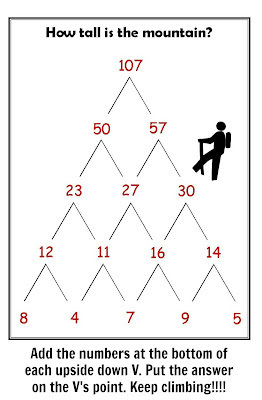 carrying numbers), I gave my son a mountain-climbing addition challenge. I played too, so we could see who climbed higher (i.e. added to get the largest number). Playing is simple. 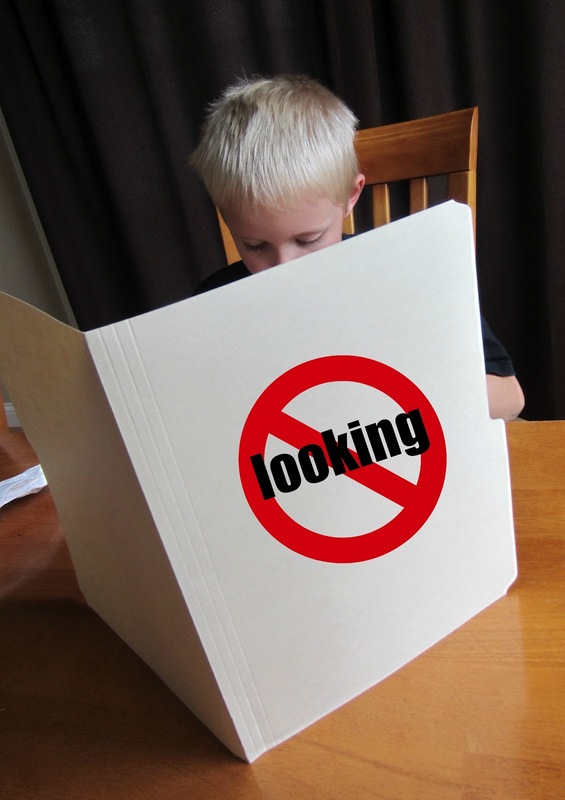 Download the one-page PDF I made. Cut apart and laminate. 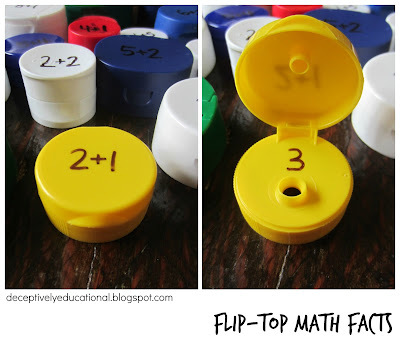 Grab two fine-tip dry-erase markers and a pencil and paper. Download a PDF of these two cards here. Add the numbers up the mountain until you’re at the top. The higher you go, the harder the math becomes. Use a scratch pad of paper to solve the problems. Keep your card secret from your opponent. When you’re done adding, reveal your card to see which player climbed the highest. 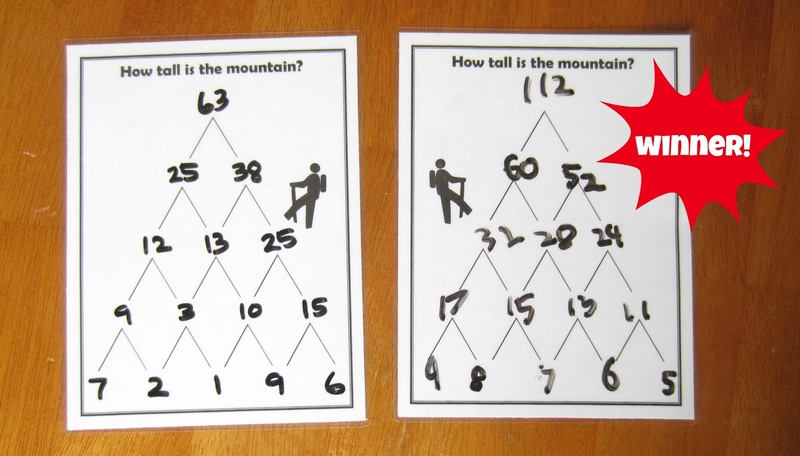 We each climbed five mountains – sometimes to heights just over 100. Whoa! 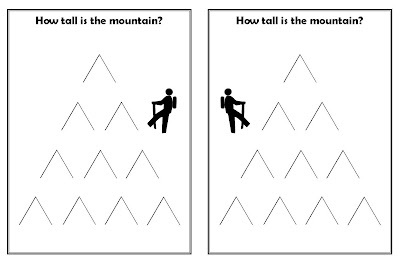 Mountain climbing is great exercise – or I should say, a great math exercise! How fun! I love it! 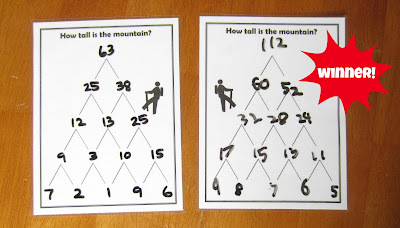 I bet my kindergartner would even be able to do it with mini-mountains! Yes, you win the queen of deception medal...in the best way possible! Ah! Terrific. I'm printing it out! My math loving son will love this. Oh.My.Word. AMAZING! This is BRILLIANT!! Thank you for sharing!!! 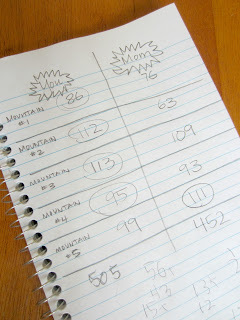 this was a great way for me to learn how to do math when I was younger. now I have an A in math!!! thank your for sharing this unique activity. I am going to use it for my 8 yr old and 5.5 yr old sons.